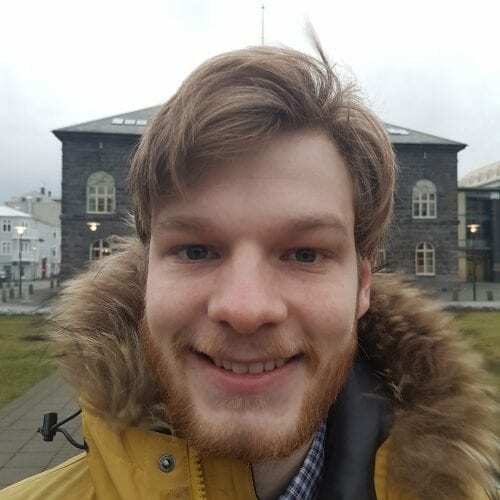 The “Free” tour takes you on foot around the heart of Reykjavík with an english speaking Icelander: Marteinn, Eiríkur, Sara, Jóhannes, Tómas, Þórdís or Nanna. The main focus is the general history of Iceland and the evolution of reykjavík as a town. We also tell you about elves, vikings, food, nightlife, music, economic aspects and political affairs. Finally there are the funny facts about Iceland and the places you must see in Reykjavík. The tour is laid out in an informative and comic way, where there is also room for personal questions. The tour is completely non-commercial and non-sponsored, you pay afterwards whatever you think it was worth. There are no meals included, no shopping involved nor any food stops or toilet breaks. In case of bad weather, construction, parade or similar occasions the tour is adjusted accordingly. Indoor stops are frequent in winter. We’ve never cancelled this tour since it started to run. The walk itself is about 2km long (1.3 miles) and lasts 2 hours. The walk is easy, just two slopes but in general we are covering flat ground. Kids of all ages are welcome to accompany us and we do our best to keep them involved. – In case of bad weather, we alter the tour slightly and include indoor stops. – Please turn up 10 minutes prior to starting time to check in with your guide. – Make sure your guide is marked with the CityWalk logo! 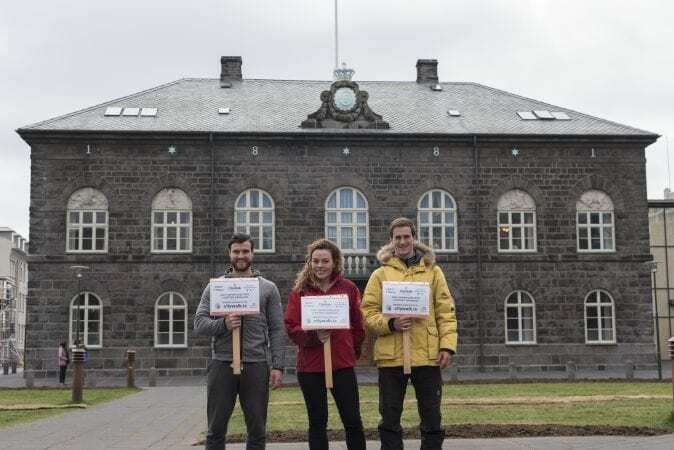 Meeting point is the main square Austurvöllur, in front of the House of Parliament (Alþingi) We are easy to find next to a statue of the national hero, Jón Sigurðsson. Make sure you don’t confuse us with other tour groups. Always look for the CityWalk logo. Our regular booking system does NOT allow bookings for more than 6 people per booking for a very good reason. Big groups of 6+ people can join the classic “free” walk with special permission given via e-mail through this contact form. If you exceed 10 people in total, we ask you to book the tour privately since we cannot accommodate you along with our regular guests. Please read about the Private Tour we offer. Parliament building, The Concert Hall Harpa, Hallgrímskirkja, lake Tjörnin and the City Hall. Along with plenty of non-touristy sites. We try to avoid the places you find online. Our guests are encouraged to visit Hallgrímskirkja and Harpa on their own before or after the tour, as we won’t have time to visit those during the walk. Reserve your time slot here! The “Free” Classic tour opens for bookings roughly 5 days in advance. We run every day, year around, in all kinds of weather. We rarely take a day off over holidays. In case the weather is bad, we alter the tour, take shelter from wind, rain and snow as much as possible and even shorten the tour. CityWalk has never cancelled a tour. Those who show up without a valid booking risk being denied participation and those who book and don’t show up won’t get a christmas card! <Click here to see times>Tue 23rd April - 10:00AMTue 23rd April - 12:00PMTue 23rd April - 3:00PMVIP tour also ON!Wed 24th April - 10:00AMWed 24th April - 12:00PMWed 24th April - 3:00PM<Spring Schedule>Thu 25th April - 10:30AM !! !Thu 25th April - 2:00PM !! !Fri 26th April - 10:30AMFri 26th April - 2:00PMSat 27th April - 10:30AMSat 27th April - 2:00PMYour time and date not here? Check again tomorrow! You will receive a booking confirmation and additional info. 1pax2pax3pax4pax5pax6paxMore than 6? Send an e-mail please, do not make multiple bookings! Your booking will have this name. Max 15 letters please! 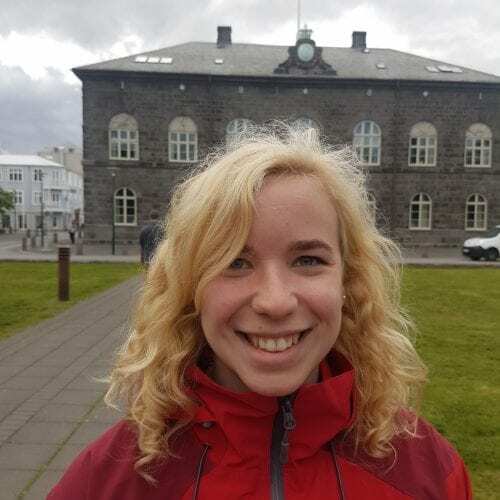 We booked this free walking tour of Reykjavik with Nanna on a whim to fill our day and we are so glad we did! She was very well spoken, knowledgeable and hilarious. Having just arrived the night before, it was a great way to get our bearings and learn about the city before taking off on our own. 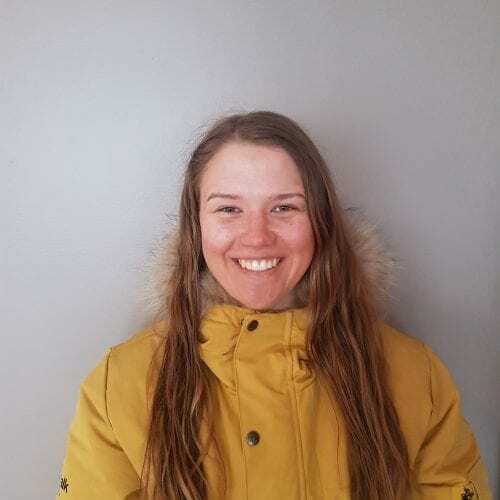 Nanna also has great experience throughout Iceland and gave us some recommendations beyond the city that all turned out to be awesome. While the tour is free, we were so pleased with it that we (and all of the other guests) gave a nice tip at the end 🙂 Highly recommend! I had the opportunity to visit Iceland in September and the CityWalk tour was one of the first activities I did, and I absolutely loved it. Disa was great at making the tour fun, entertaining, useful, and informative. She is super well prepared for any questions, tips, or recommendations you may need. 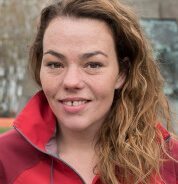 Disa is so passionate about her country and her fellow Icelanders that you can’t help it but to be immersed in that positive and fun vibe. After the tour, you will have the right context and be able to truly enjoy your stay in Iceland a thousand times more. Exceptional job to Disa and the CityWalk team!! Tomas, our citywalk guide, was great. His stories were informative, entertaining and at times funny. He has a very calm but engaging way of telling stories and his English is impeccable, which made it easy for everyone to understand. The tour took us through a part of town that we wouldn’t have visited otherwise. It was a good mixture between highlights and more unknown places and information. 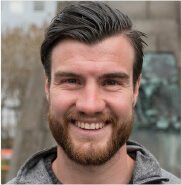 Tomas covered the history of the country and city, but also culture, economics and practical tips for during our stay in Reykjavik. I loved that we ended the tour in the city hall, as it has some nice displays on the city. The tours depart from the parliament square, everyday. They are ‘free’, as there is no set price but tips are greatly appreciated. All in all a great way to explore the city in around 2 hours. Best way to start a trip in Reykjavik! Jóhannes was an absolutely fantastic tour guide! My parents and I started our trip to Reykjavik with the free two hour walking tour, and we were so happy we did. Jóhannes was extremely friendly, making an effort to get to know everyone before the tour began, and was full of great information. He also had a wonderful sense of humor and was more than happy to answer any questions. A few days after the tour my family went to the National Museum of Iceland, and we realized just how much we had learned from Jóhannes!! Would definitely recommend this tour company to everyone! Our guide was Eric, whose English was excellent. He was enthusiastic and very responsive to his audience’s reactions. 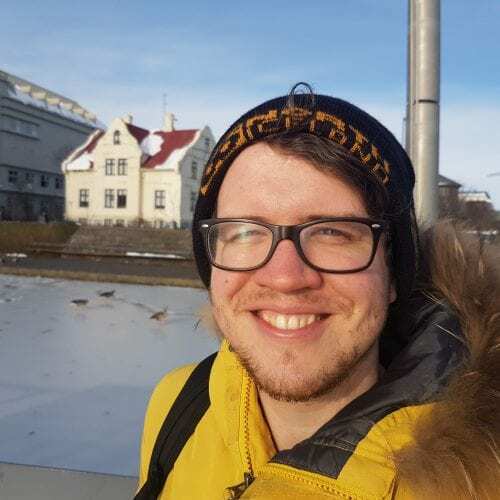 He was well-infromed and managed to cover the history, sociology and economy of both Reykjavik and Iceland in an unusual chronology, but one which was logically underpinned by his choice of stopping points. His manner was relaxed and I am convinced he was enjoying himself. He answered all questions with an enviable confidence and sense of humour. I don’t think we have ever met a more knowledgeable and approachable guide in many years of traveling.